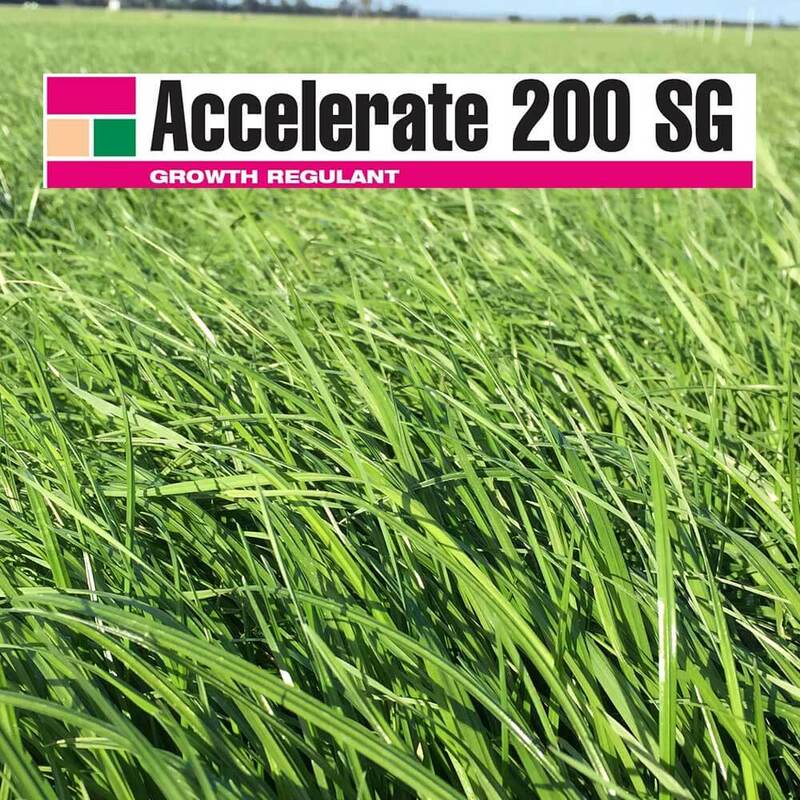 Accelerate 200 SG Growth Regulant is a naturally occurring plant hormone that has been maximising pasture growth during the cooler months to deliver quality feed quantity during periods of reduced winter pasture production. By increasing the natural level of gibberellins contained in plants, the Accelerate 200 SG stimulates growth though cell expansion resulting in stem and lead elongation. Applications deliver accelerated growth creating significant gains in dry matter yield for up to 3 to 4 weeks provided adequate moisture and nutrition is available.